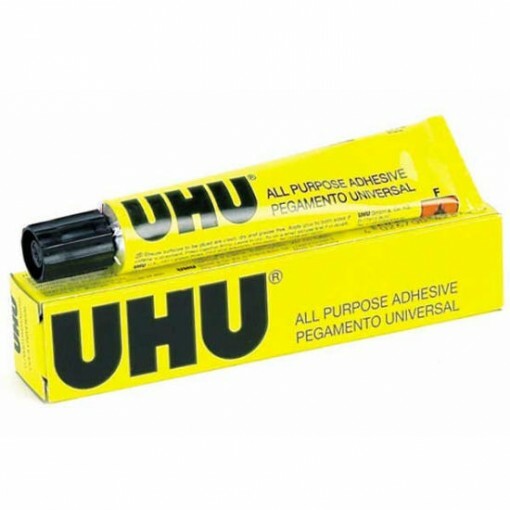 UHU All Purpose Adhesive, the proven fast, crystal clear universal adhesive. For universal applications at home, in the office, for modelling, at school and for crafts. Glues many materials rapidly and durably. Its adhesive bond remains temporarily correctable and it does not wrinkle paper.